Born 1979 in Alba Julia, Romania. 03/2004 - 12/2009 Hamburg University of Applied Sciences, Germany. Image clip for Consigo CBC, agency for B2B customer recruiting. Album cover and artwork for the new Grinderman album "Grinderman 2". Release date: 2010-09-13. 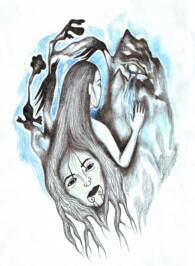 The Cover illustration is based on Albert Wendt's poem - "In Your Enigma", written for Reina Whaitiri. Ilinca was immediately impressed by Albert's voice and words. 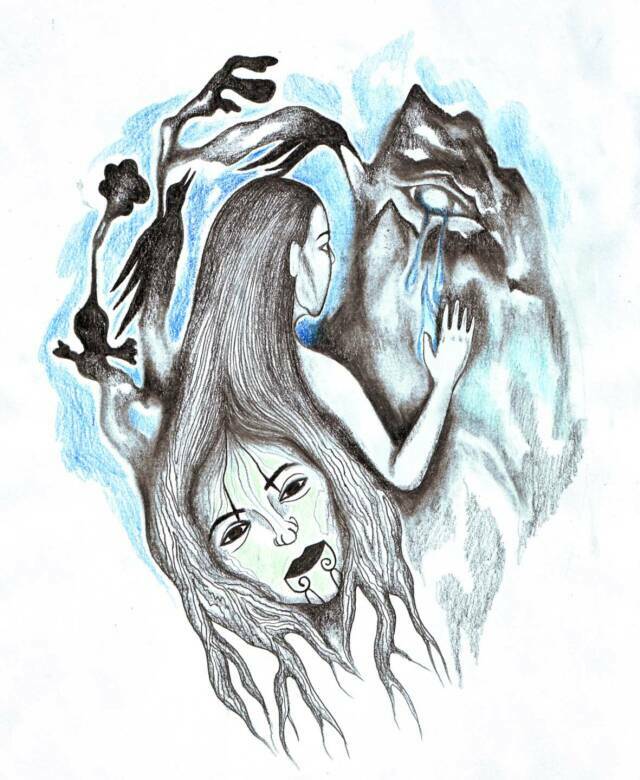 During the process of creating the cover image, she worked with two of Albert's poems "The Mountains of Ta'u" from his latest novel "The Adventures of Vela" & "In Your Enigma". It was immediately apparent Albert's words were taking Ilinca to new worlds. "I try to find my way into the subject. I really like the poem "In your enigma". I would love to draw a person whose past, future, nature, birds... everything she has ever felt or thought comes out of her body and returns again." - Ilinca Höpfner. Ilinca was fascinated by the creation story of Rangi and Papa, and also the god Ruaumoko, I sent her research to work from. 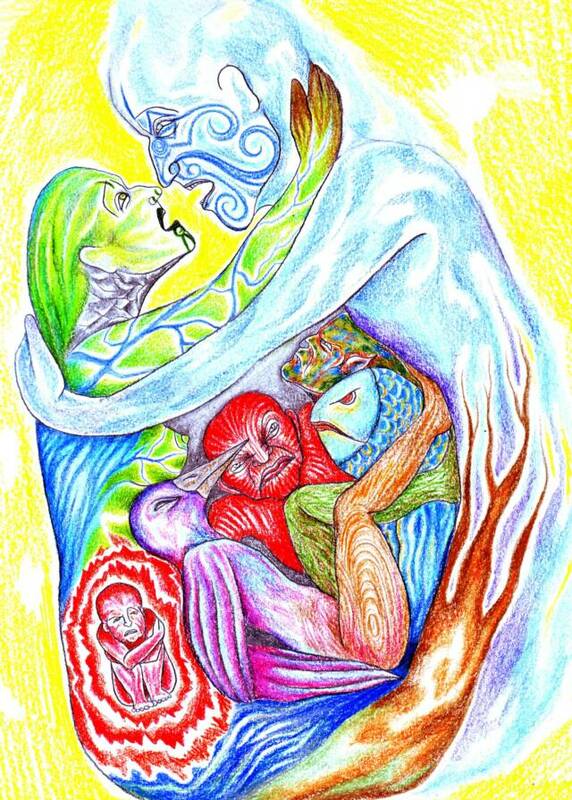 Drawings 4 & 5 show her expression of Maori religion, specifically the separation of Ranginui & Papatuanuku by their children (creation story) and Ruaumoko, the unborn child who resides in the belly of Papatuanuku. 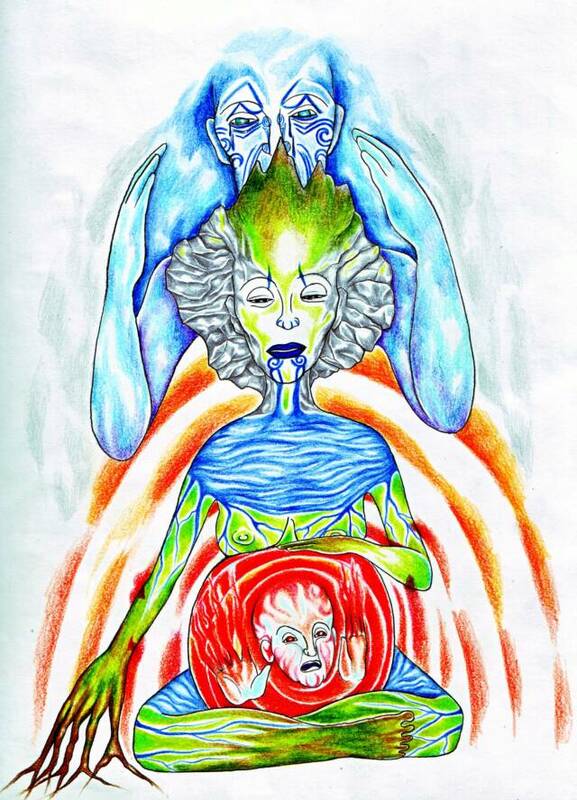 The final cover image is Ilinca's expression of "In Your Enigma", it is hauntingly beautiful and expresses in Ilinca's words a woman whose past, present and future, everything she has ever touched coming out of her and returning. All works are protected by copyright. Ilinca Höpfner Copyright 2010 - All rights reserved by the artist. "Mickey Mouse and the Goodbye Man" by the band Grinderman (Nick Cave, Warren Ellis, Martyn Casey, Jim Sclavunos) - Animated By Ilinca.